We are super proud of our history. 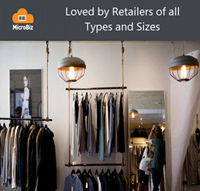 MicroBiz was one of the pioneers in retail management software. Through the company’s history, MicroBiz has demonstrated leadership in the retail management market. 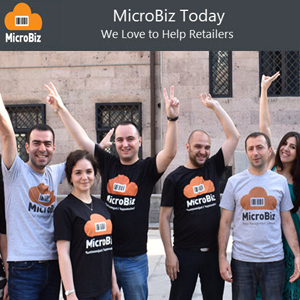 MicroBiz has been focused on helping retailers operate more efficiently for over 25 years. 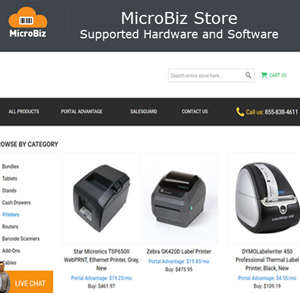 MicroBiz was founded in 1985 and was a pioneer in computerized point of sales systems. 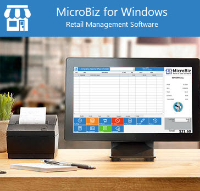 MicroBiz Business Controller (as MicroBiz for Windows was called in the days before Bill Gates created Windows OS) was one of the first full featured computerized POS systems that could be customized for different retail verticals. The company’s early success was a result of great technology, a zealous reseller network, carpet bomb-mailing of POS catalogs and an ubiquitous koala bear mascot.  In 2000 MicroBiz was sold to CAM Commerce (NASDAQ: CADA). CAM Commerce was early in recognizing the value of integrated payments to retailers in eliminating keypunch error, employee theft and time consuming reconciliation of credit card batches to retail sales. CAM was the first POS software company to found an ISO (X-Charge) to provide integrated payment services to its customers. 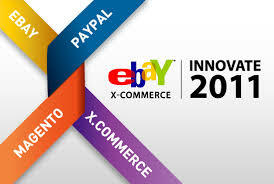 MicroBiz might have continued to chug along as part of CAM Commerce if Kevin Kogler had not attended the 2011 Innovate Conference in San Francisco sponsored by eBay/Magento. Kevin Kogler, President of CAM Commerce at the time, was there looking for alternatives to a legacy ecommerce shopping cart product sold by CAM Commerce. 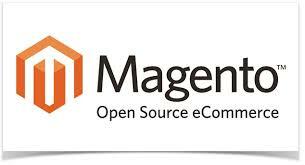 During one of the keynote presentations at Innovate, the Magento folks featured a video about a local San Francisco Bay area soccer store that was able to build a really cool Magento ecommerce site in just a couple days using Magento. Coincidentally, it turned out that this soccer store was where Kevin shopped for soccer gear for his kids. So, a couple weeks later when Kevin stopped by to pick up shin pads for his daughter, he noticed that the store was using a legacy POS system totally disconnected from its new Magento ecommerce site. As a result, the store owner had to double enter transactions and had no visibility into the inventory between his ecommerce and store operations. The owner was constantly getting web orders for products that were no longer in stock at the store. This caused bad online reviews that hurt his reputation on line and in his store. As Kevin stood there holding the shin pads a light bulb went off above his head (figuratively). Here was a soccer store showcased at eBay/Magento’s conference that had no integration between POS and ecommerce. And no integrations with its financial reporting software, email marketing tools, supplier catalogs or other productivity applications. This retailer was wasting dozens of hours each month manually entering data and reconciling systems. Kevin realized that there were employees at hundreds of thousands of similar businesses struggling with these manual tasks each day. What an opportunity to make the lives of retailers more productive and enjoyable! 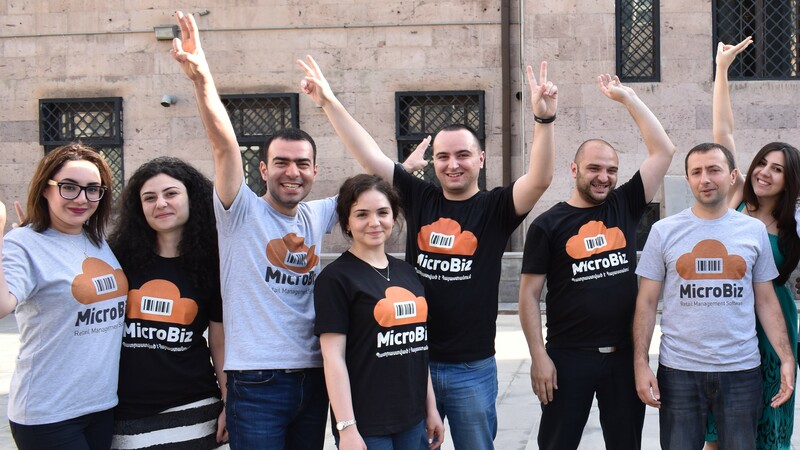 This experience provided the vision for MicroBiz. An easy-to-use retail management software that automates the operations of retailers and seamlessly integrates popular third party applications used by retailers. By eliminating redundant and manual tasks, a well designed retail management system application can free up retailers to spend more time with their customers and employees – making their jobs more fulfilling and enjoyable. Our award winning MicroBiz Cloud POS software is consistent with this initial vision. 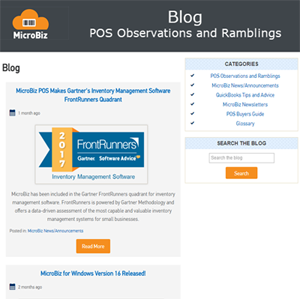 Today MicroBiz POS software is improving the lives of retailers in over 30 countries by automating the mundane tasks that can make their day ‘work’ instead of an opportunity to make their customers (and themselves) happier. Sign up for a free trial so you can see for yourself how MicroBiz Cloud can save you hours of time each month.